His nomination as attorney general spells trouble. While attorney general for President George H.W. Bush, William Barr was a vocal critic of abortion rights. President Donald Trump on Friday announced he plans to nominate William Barr to replace Jeff Sessions as attorney general. Under Sessions’ guidance, the U.S. Department of Justice supported restrictive voter ID laws, defended the Muslim ban, endorsed separating asylum-seeking parents from their children, reversed Obama-era guidance protecting LGBTQ rights, and argued for a right to block undocumented immigrant minors in their custody from obtaining abortions. It’s hard to imagine the situation getting any worse for vulnerable people. But if Barr is confirmed, that’s exactly what could happen. 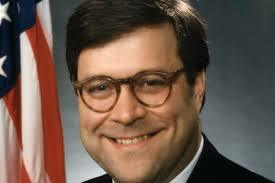 Barr, a corporate lawyer who served as attorney general to President George H.W. Bush from 1991 to 1993, has long been a vocal critic of abortion rights. He’s called abortion a result of secular “fanatics” wreaking havoc on the “Judeo-Christian moral tradition.” During his 1991 confirmation hearings he told members of the Senate Judiciary Committee he believed Roe v. Wade was wrongly decided and should be overturned. While an attorney at the Department of Justice (DOJ) in 1991, Barr urged a federal court to lift an injunction preventing clinic protesters in Wichita, Kansas, from blocking access to abortion clinics there, saying it was better to let state law enforcement handle the protesters. This was at a time when the anti-choice “rescue” movement sent protesters to clinics in the hundreds and thousands to do whatever they could to disrupt clinic access, including forming human chains in front of clinics, barging in, and handcuffing themselves to medical equipment. Of course, contrary to Barr’s belief, state law enforcement was often ill-equipped or unwilling to deal with abortion clinic protesters—to the point where Congress eventually stepped in and passed the Freedom of Access to Clinic Entrances (FACE) Act in 1994. In 1992, the American Bar Association adopted a resolution to oppose state and federal restrictions on abortion rights. Barr, then attorney general, publicly opposed the resolution. And when Congress was considering federal legislation to protect abortion rights, he said he would advise President Bush to veto it. Barr repeatedly bemoaned the “permissiveness” of the “sexual revolution,” arguing it created moral upheaval leading to the country’s decline. He railed against the separation of church and state, especially in public schools. “This moral lobotomy of public schools has been based on extremist notions of separation of church and state or on theories of moral relativism which reject the notion that there are standards of rights or wrong to which the community can demand adherence,” Barr said in 1992 in a speech on juvenile crime. Barr also defended the Bush administration’s use of DOJ staffers to investigate Anita Hill to try to discredit her testimony against U.S. Supreme Court nominee Clarence Thomas. More recently, he’s criticized the special counsel’s investigation into Russian interference in the 2018 presidential election. By these measures, Barr may be the best candidate for attorney general Trump could choose to carry on Sessions’ mission at the Justice Department. And that should, frankly, terrify us. During its first two years, the Trump administration has enabled and encouraged the rise of violent xenophobia through its own policies and statements. There’s little reason to believe a Justice Department run by Barr—who has publicly praised the administration’s militarization of force against immigrants—will do anything to tamp this problem down. Despite the existence of federal law designed to protect abortion clinic access, the anti-choice movement under Trump has been more emboldened than ever to defy that law and dare the Justice Department to enforce it. With Barr at the helm, the chances of such enforcement are slim. Barr’s nomination also comes at a time when evangelicals, backed by the DOJ, are urging the federal courts to allow them license to discriminate against LGBTQ people in all forms, from selling cakes to refusing adoptions and foster care placements based on religious beliefs. It comes as evangelicals lobby for more direct government funding of religious activity and greater entanglement of church and state, and for the right to deny care and services to thousands in the name of religious liberty. As attorney general, Barr will almost certainly be a fierce supporter of those efforts. Barr still must be confirmed by the Senate, but with Republicans in control and his time serving in the H.W. Bush White House that confirmation is all but a given. As attorney general, Jeff Sessions advocated brutal policies and used the force of the Justice Department against the most vulnerable. Should Barr be confirmed, he will no doubt do the same. This little woman may have saved more mothers than what the story tells. A woman who wants to do an abortion will stop at nothing. More often than not the unsafe abortion kills her as well. Bravo to this little woman.